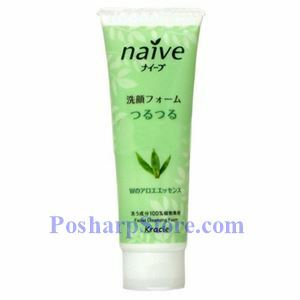 The healing and moisturizing properties of Aloe are at work in a full line of products from Kracie that includes Facial Wash, Shampoo, Conditioner and Body Wash from Japan. Aloe is well known for its healing and moisture properties. Light fragrance for both men and women. Perfectly priced for everyday facial care. Use: Emulsify a small amount of cream with water, and then apply the cleansing foam to face with a soft towel or cleansing brush. Massage well, rinse completely with warm water. 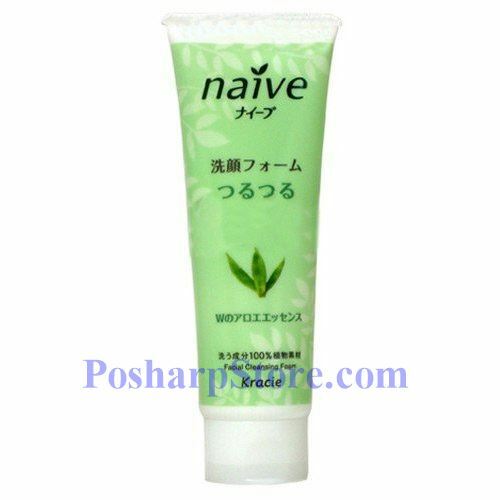 Ingredients: Water, myristic acid, glycerin, potassium hydroxide, stearic acid, glyceryl stearate se, cocamide methyl mea, peg-6, peg-32, sodium methyl cocoyl taurate, ricinus communis (castor) seed oil, sodium phosphate, fragrance (parfum), polyquaternium-7, tetrasodium edta, aloe barbadensis extract, aloe barbadensis leaf juice, glycosyl trehalose, sodium polyacrylate, potassium cocoyl glutamate, hydrogenated starch hydrolysate, methylparaben, butylene glycol, hydrolyzed oat protein, propylparaben, phenoxyethanol, sodium benzoate, sodium sulfite.